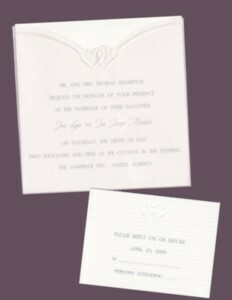 Invitations, Reply Cards, Receptions Cards, Thank You Cards, Informals, and Monogrammed Cards are available in each style! All completely customizable to suite your needs. 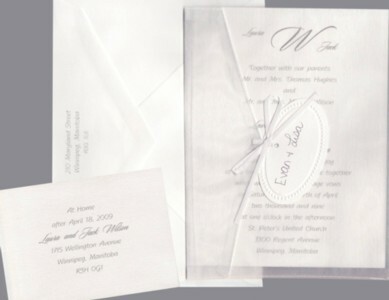 A fun and stylish striped design brightens these fill-in-the-blank invitations. 25 cards and 25 envelopes per package. 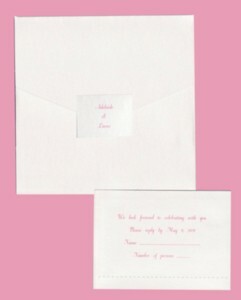 4 5/8" x 6 1/4"
Pink, fill-in-the-blank invitations feature a "girls night out" and flower design. 25 ct. 4 5/8" x 6 1/4"
Envelope moistener contains glue for sealing over 1,000 envelopes.